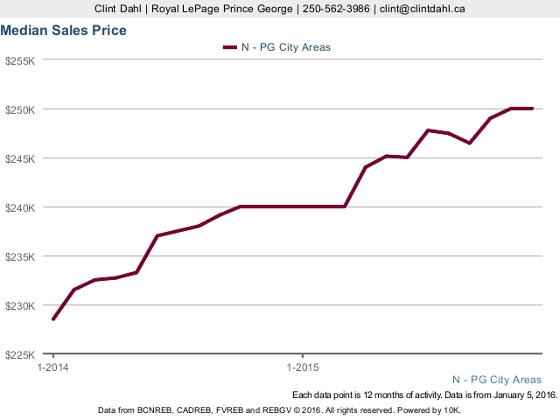 BC Assessment has sent out their 2016 assessments and Prince George residents can expect to see an average increase of 6%. This is slightly more than the average increase that we have seen through the nearly 1300 MLS sales this year where we have seen an average increase of about 4.2%. What will be interesting to see what the increases will be for the different price ranges. For example the average number of active listings we have in the $200,000 - $300,000 range is down by over 22% where as the number of listing in the $350,000 and up range is up by close to 15%. This shows tare fewer and fewer houses available in the range of what our average house price is. Tight inventory usually means rising prices so will we see faster price increases in that $200-300k price range this year and has BC Assessment already factored that in?